Chickpeas were a staple in my house growing up. My mom was always putting them in salads or we would have it as a side dish. During college, I really got into hummus, which is basically chickpeas mashed up. I just recently found out that you can roast chickpeas & eat it as a snack. 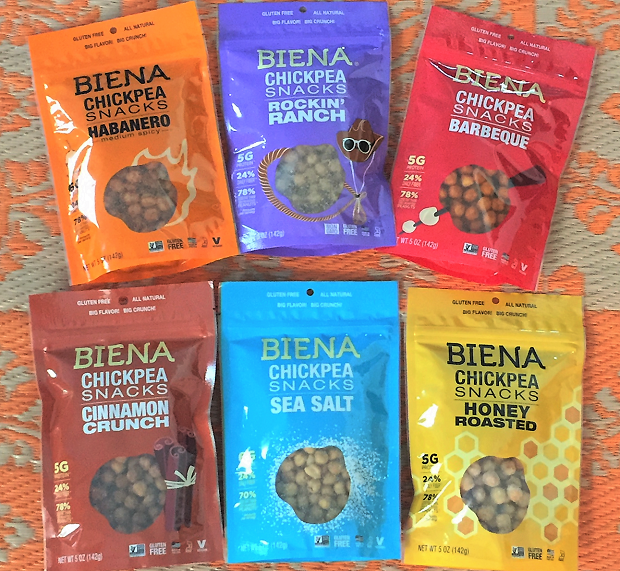 So when I heard about Biena’s product line of roasted chickpeas, I was eager to try it! 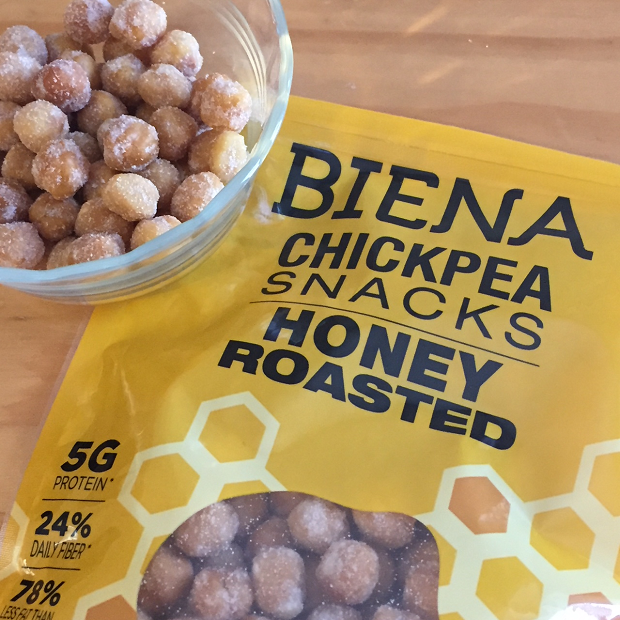 The texture & the taste that you get when eating Biena Snacks is so satisfying. I love crunchy, salty things, so Barbeque & Sea Salt are super tasty to me. My hubby & daughter love sweeter things, so they both enjoyed the Honey Roasted & Cinnamon Crunch. 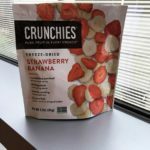 Biena Snacks are portable, great for long drives, with a resealable zip lock pouch. 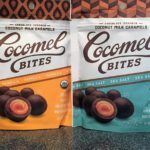 It makes for a great after school snack or you can throw a pouch in your bag for those weekend little league or soccer games. 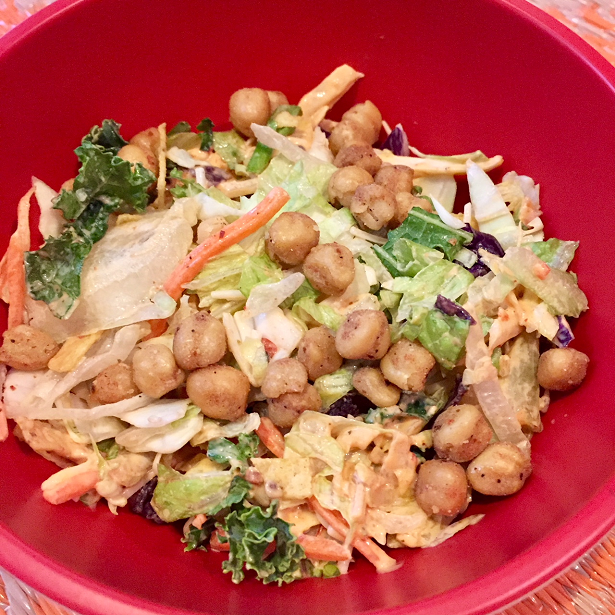 The Habanero flavored roasted chickpeas have a definite kick to it! 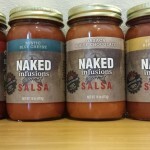 I’ve taken to adding that flavor or Rockin’ Ranch to my salads. 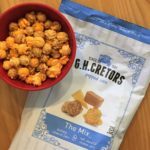 It has the same yummy crunch as a crouton! 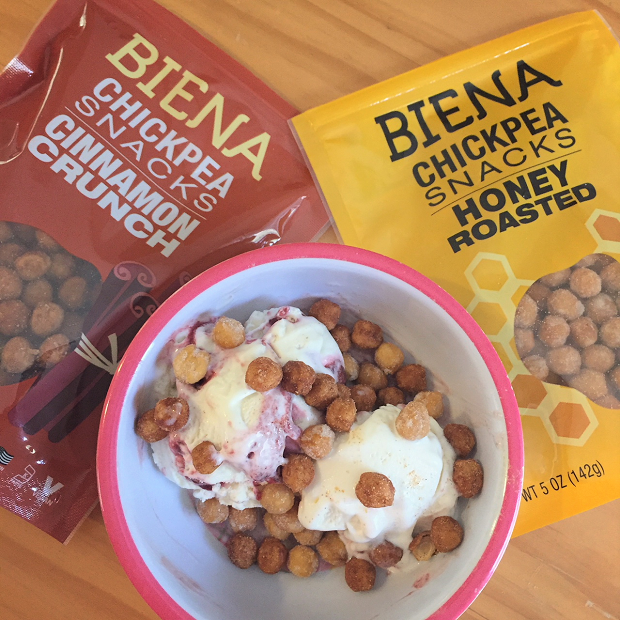 My daughter & husband discovered that Biena Snacks pair really well with their favorite dessert – ice cream! 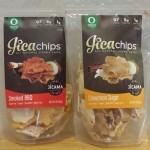 You can find Biena Snacks at Whole Foods or buy it online from their website. Don’t forget to check out their Facebook page for the latest updates! 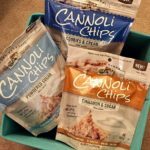 Cannoli Chips – The Original Crispy Pastry Snack!